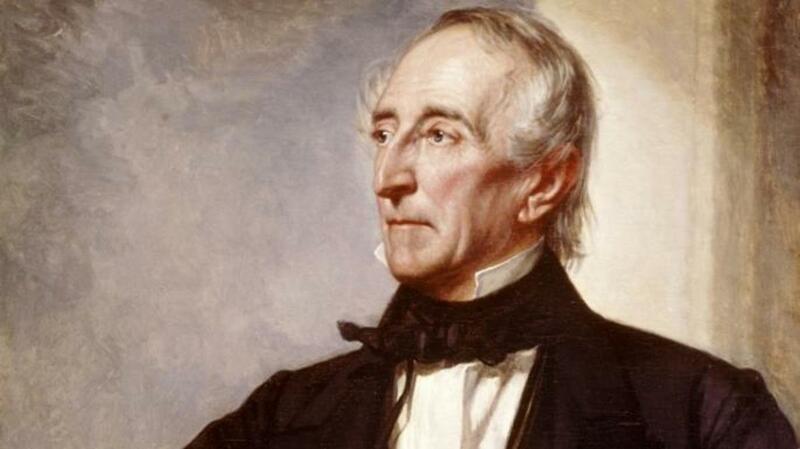 During his lone term as president, widower John Tyler launched into a passionate courtship with a New York socialite 30 years his junior. 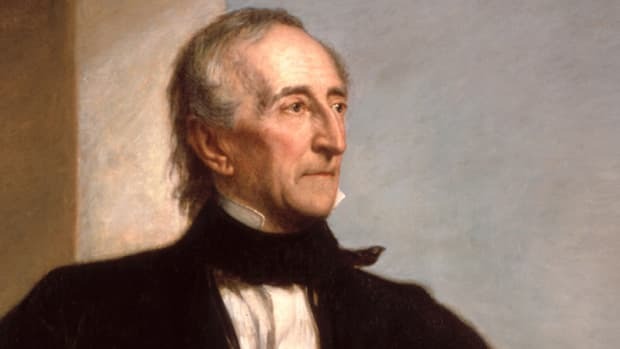 Even before he began wooing a woman 30 years his junior, John Tyler had already endured a tumultuous start to his term as president. 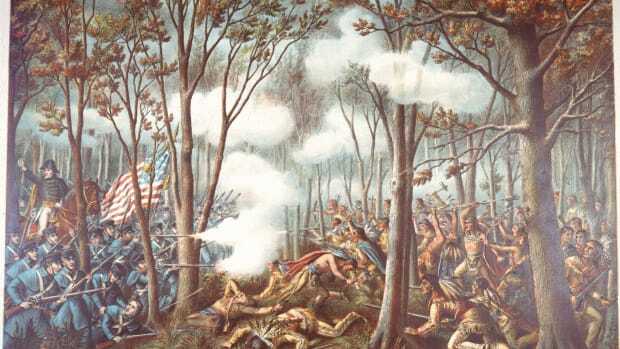 The former Virginia senator had been elected vice president as part of William Henry Harrison’s famed “Tippecanoe and Tyler Too” ticket, but had ascended to the presidency after Harrison’s sudden death in April 1841. 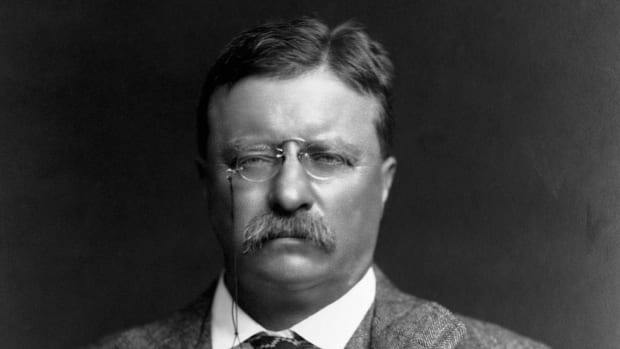 Tyler was the first vice president in American history to succeed a deceased commander in chief, but his transition had been anything but smooth. Critics considered him a mere caretaker president—they even dubbed him “His Accidency”—and nearly every member of his cabinet resigned after he vetoed legislation to establish a new national bank. Tyler, a onetime Democrat who had joined the Whigs, was eventually cast aside by both parties. An even bigger blow followed in September 1842, when his wife Letitia died after suffering a stroke. 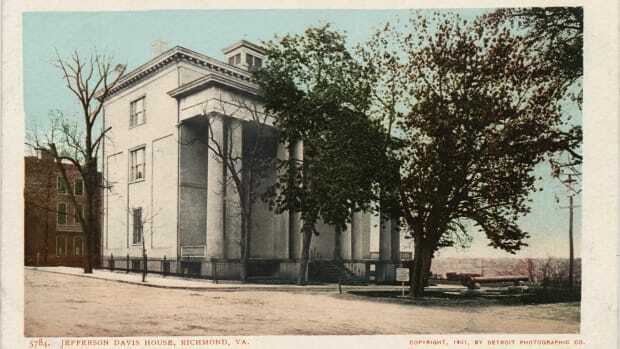 Gardiner arrived in Washington in late 1842 to take part in the winter social season, and it wasn’t long before she counted several judges and U.S. congressmen among her would-be suitors. 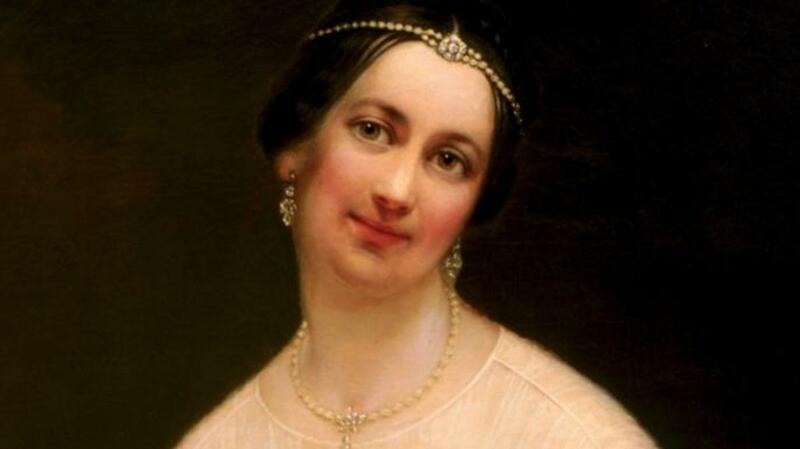 “The Rose of Long Island” earned an even more high profile admirer on the night of February 7, 1843, when she traveled to the White House for a small party. The raven-haired beauty instantly caught Tyler’s eye, and he spent much of the evening chatting and playing cards with her. By the end of the night, the usually reserved President even felt bold enough to give both Julia and her sister Margaret a goodbye kiss. Despite the rejection, Tyler didn’t give up his pursuit of Gardiner. He continued to see her family socially, and eventually repeated his marriage proposal in front of her parents, who were delighted but also concerned about the couple’s large age gap. Julia later left Washington for the summer without formally accepting, but her attraction to the lanky, sharp-featured President was growing. She later remembered being taken by the “incomparable grace of his bearing, and the elegant ease of his conversation,” and she eagerly exchanged letters with him over the summer. In one, Tyler described her as his “fairy girl” and scribbled several verses of romantic poetry. While a marriage between the 10th president and the “Rose of Long Island” seemed to be on the horizon, it ultimately took a tragedy to help seal the deal. 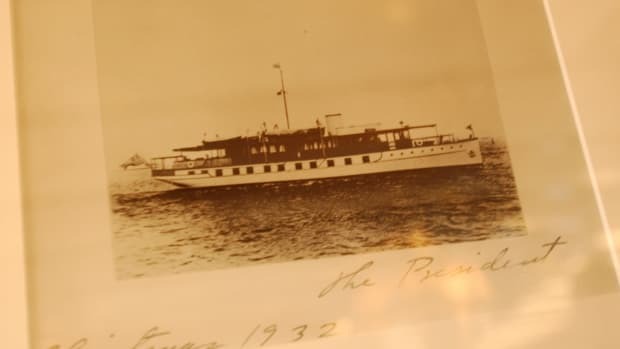 On February 28, 1844, when the Gardiners were once again in Washington, Tyler invited them to a party aboard a U.S. Navy frigate called the USS Princeton. 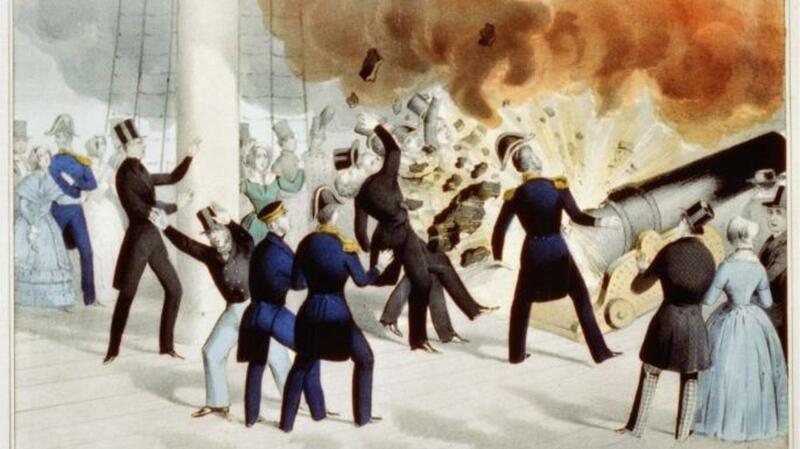 As the ship steamed down the Potomac, the President’s 400 guests were entertained by several test-firings of the “Peacemaker,” a mammoth, 13-ton naval gun that lobbed 225-pound cannonballs. The first few salvos went off without a hitch, but when the gun was fired a final time at around 3 p.m., its breech exploded and sent metal shrapnel flying across the deck. Six people were killed including the Secretary of State and the Secretary of the Navy. Tyler and Gardiner avoided injury, but when they rushed to the scene of the disaster, they discovered that Julia’s father David Gardiner was also among the dead. Julia was so distraught that she fainted, so a weeping President Tyler gathered her in his arms and carried her to a rescue ship. In the aftermath of the Princeton disaster, Gardiner grew closer to Tyler and eventually agreed to marry him. “After I lost my father I felt differently toward the president,” she later said. “He seemed to fill the place and to be more agreeable in every way than any younger man ever was or could be.” On June 26, 1844—less than four months after the explosion—the couple exchanged vows in a secret wedding ceremony in New York. At age 54, Tyler became the first commander in chief to marry while in office.